While several sources erroneously suggest that Costa e Silva's parents were Portuguese from Madeira, both his parents were Brazilians, although one of his great-grandparents was a Portuguese immigrant from Lisbon. 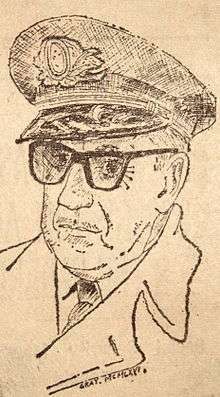 Costa e Silva was born in Taquari in Rio Grande do Sul state. Under the Constitution of 1967, the President was to be elected indirectly, by an absolute majority of both houses of Congress. Since Congress was dominated by the military-backed National Renewal Alliance Party (ARENA), the presidential campaign essentially ended when Costa e Silva was officially nominated as ARENA's candidate. He was duly elected on October 3, 1966 and sworn in on March 15, 1967. In 1968 the death of college sophomore Edson Luís de Lima Souto in a confrontation with a police officer provoked a massive protest (The Hundred Thousand March) in Rio de Janeiro. The political situation worsened in August, when Congressman Márcio Moreira Alves suggested in a speech that young women should refuse to dance with military cadets in an act of protest against the military regime. The government asked the National Congress to prosecute the deputy. This was too much even for the ARENA-dominated legislature, which turned down the request. Costa e Silva then convened the Council of National Security and published Institutional Act 5. It gave him the power to close Congress or any state legislature, rule by decree, dismiss state governors, and suspend citizens' political rights. It also instituted heavy-handed censorship, abolished habeas corpus for political crimes, and gave the federal government nearly unlimited authority to intervene in state and local affairs. 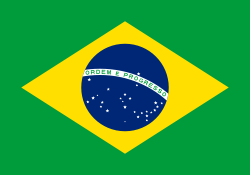 For all intents and purposes, AI-5 placed Brazil under a tight dictatorship. Under the provisions of this act, Costa e Silva closed Congress, as well as the legislatures of all states except São Paulo, for over two years. Taking advantage of the opportunity, military junta introduced new amendments to the 1967 Constitution were added that gave the already highly authoritarian document an even more repressive tone. However, it was overall less repressive than the AI-5. This "Constitutional Amendment no. 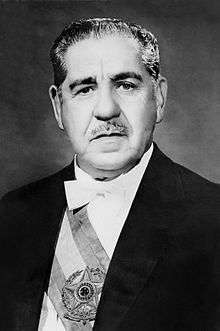 1", sometimes referred to as the Constitution of 1969, was passed into law by the junta before it gave power over to General Emílio Garrastazu Médici.